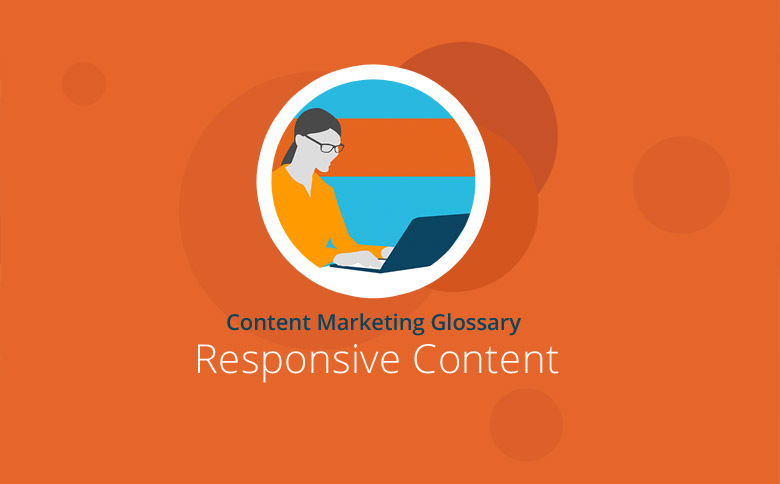 The term “responsive content” describes website content that adapts to suit the individual needs of the site visitor. So on one website, users will see different content based on which device, how often, and from which location they visit the site. Today’s Internet users surf the net with many devices, each with their own specific operating system and optimum display size. Whether it’s a smartphone, tablet, laptop, PC or TV, each device has unique characteristics, which are reflected in its surfing and usage patterns. To make it as easy and usable as possible for a visitor to make optimum use of a website with any device, the site content should respond to each respective device and adapt to match its display and operating system. Content is considered responsive when it adapts to the device the page visitor is using. The site detects the user’s device and dynamically responds by making appropriate content available. Thus, the image size, text length, formatting and usability of one page can be differentiated between two dissimilar devices. Depending on the device or conditions, there can perhaps be just a small display, an unstable connection, or a limited data volume or time period available. In such circumstances, suitably tailored content can ensure shorter waiting times, easier access or a smaller amount of data. By receiving content quickly with easy-to-use navigation properties, a site visitor builds a positive association with the website. The website owner can also use responsive content to significantly influence the customer’s journey through the site or how users interact with a certain page. Based on user data, the site can selectively choose the ideal content and give the visitor optimal information depending on the context: perhaps with shorter texts for a smartphone or helpful article recommendations. Screen size: The length and appearance of a text should be adapted to the size of the display. Content for a smartphone should be kept rather short while tablets and PC /laptop monitors allow longer texts. Device operating system: Content should be designed differently depending on whether a device is accessed via touchscreen, mouse or keyboard. Touchscreen buttons should be large enough and offer appropriate space – pagination of an article with “Next” buttons that are too small for a smartphone’s touchscreen should never occur. Current Data: The site can adapt to the user’s current situation, and a multitude of services can be offered via this form of responsive content – for example, providing location-based content according to the user’s current location. The current Internet speed (mobile or desktop), the user’s average length of stay, or the site pathway could all influence the type of content delivered. Responsive content offers site operators the opportunity to play customized content to their visitors across multiple devices and screen sizes. This content is adapted to accommodate the text length, format, data volume, usability, etc. of the respective devices and can be constantly changed in response to factors such as the usage habits or location of the user, which makes content optimized and updated for the reader’s benefit.